An unusual three tiered wonky wedding cake inspired by a Japanese style. 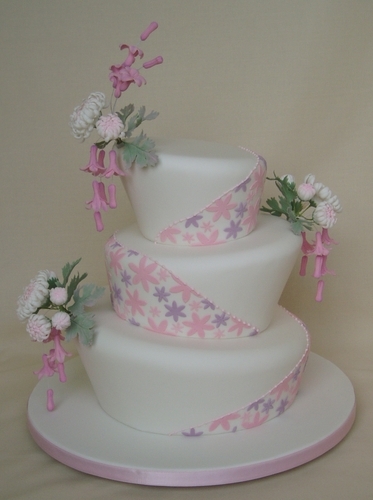 Delicate sprays of hand made sugar Chrysanthemums and Hyacinth blossoms are suspended over the edges of the cakes. Pink and lilac flowers are wrapped around the tiers to compliment the sprays.